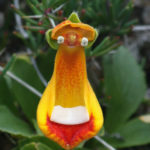 Calceolaria uniflora is an evergreen, perennial plant with darkish-green leaves and erect to ascending stems. 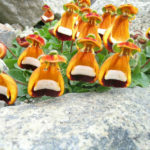 It has a shallow root system and grow tight to the ground, up to 5 inches (13 cm) tall. 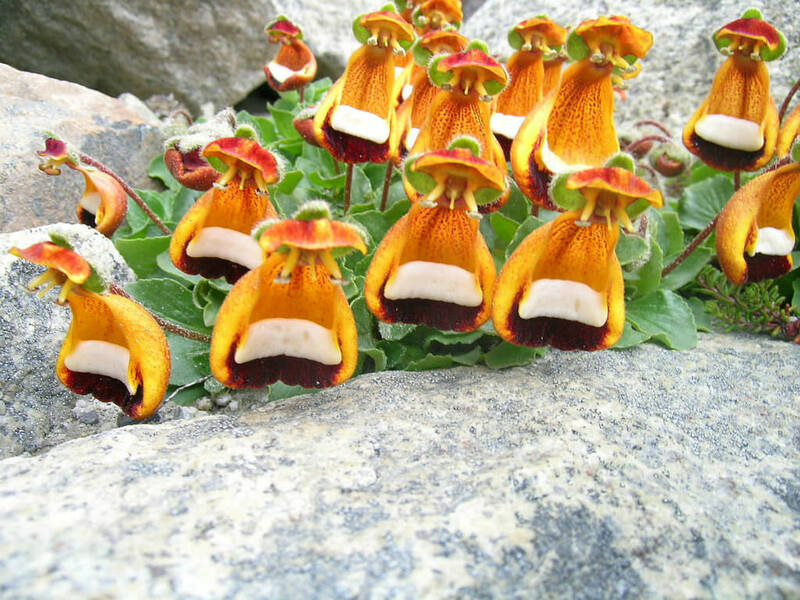 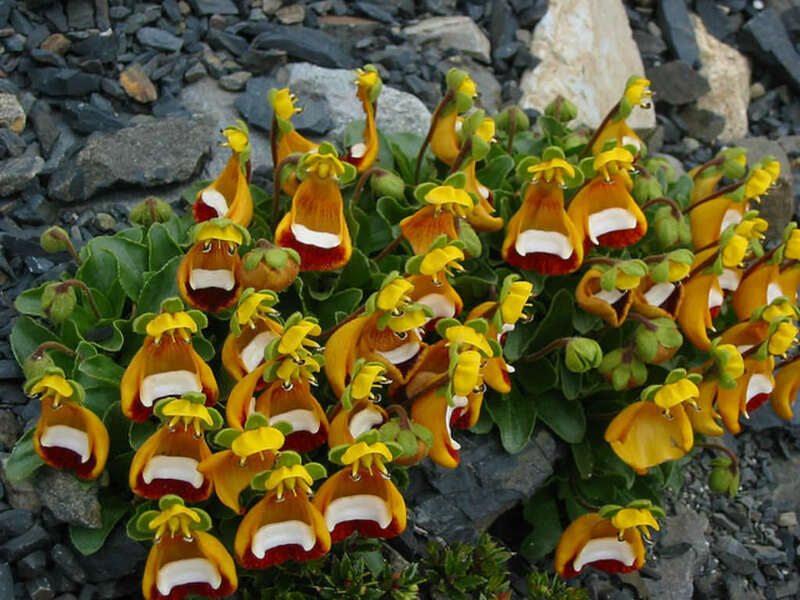 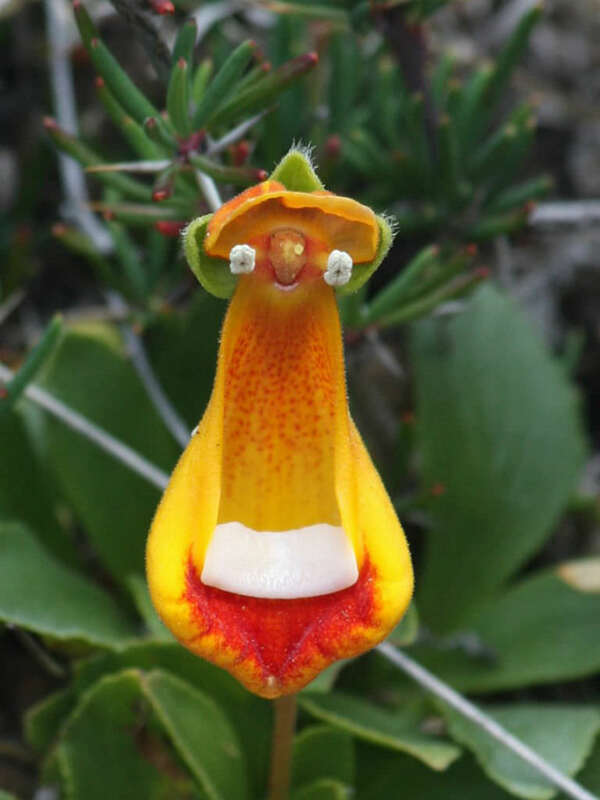 The unique flowers almost look like little penguins marching over the rocks. 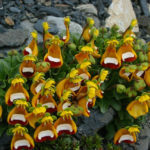 They are orange-yellow with varying amounts of deep garnet-red to bright chestnut freckling or shading in the throat and on the outside of the vertical lower lip. 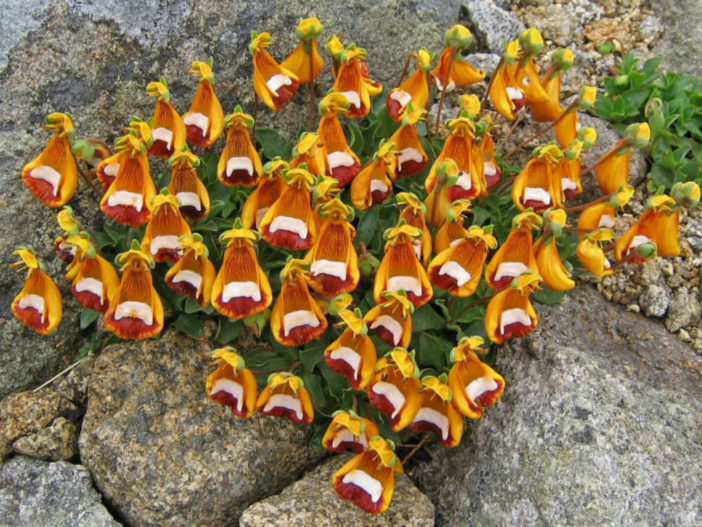 Each bloom has a white band across an open “mouth”, with burgundy markings above and below it.